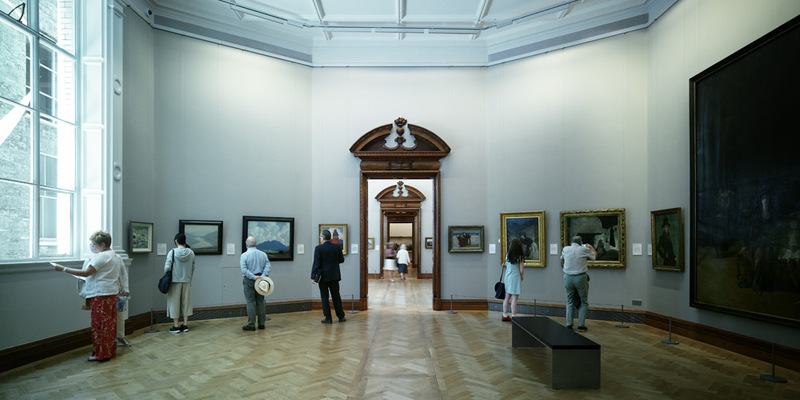 Truwood were appointed to deliver the bespoke joinery and metalworks package for this historic restoration project at the National Gallery of Ireland located on Dublin’s Merrion Square. As a conservation project, Truwood were required to work in a highly sensitive manner and to on-site requirements where our works included; reception desks, gallery benches, storage units, cloakroom desk, wall mounted cabinet and office screen. As is evident from the finished result - seen in the many high-profile articles and TV features surrounding the opening of the gallery in July - this was a truly exciting project for Truwood to have been involved with.